In this category you will find our selection of various 42mm - 44mm length festoon LED bulbs. Direct replacement to old conventional C10W halogen bulbs. 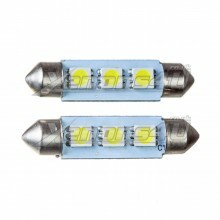 We stock canbus and standard LED bulbs. Additionally we have few different colours to choose from: Xenon White, Blue, Red and Green. 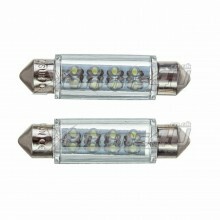 12V 42mm Festoon Canbus bulbs are used only for car's interior lighting.